This Short wheelbase Kombi comes with a DSG (auto) Gearbox, low miles and one owner. 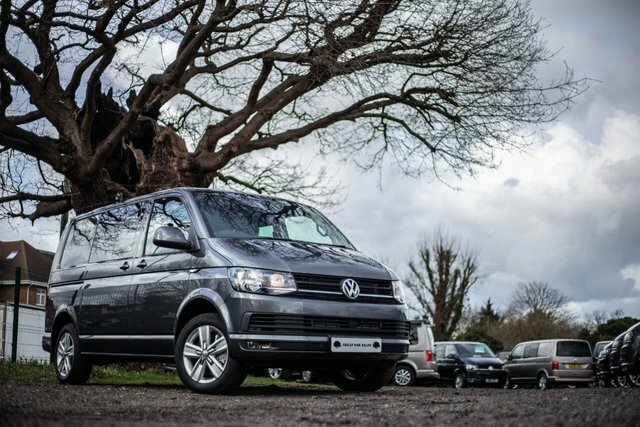 It is a HIGHLINE Kombi in Metallic Starlight Blue with many extras: Comfort Dash, Sat Nav (Discovery Media), Electric Folding Mirrors, Rear Parking Camera, Front & Rear Parking Sensors, Heated Front Seats, Cab Carpet, 2+1 Split Rear Seats, Twin Sliding Doors with Soft close to Both. Do you have some questions about this Kombi? Why not give our sales team a call on: 01932 765909.